The good news is that Motorola has confirmed to Ausdroid that the Motorola DROID RAZR could have been the manufacturer's first handset to offer a unlock bootloader solution. But before you celebrate, the ultimate decision about whether or not to offer this to the buyers of the phone belongs to each carrier. Unfortunately, Verizon has decided to remove this feature from its version of the phone. You might wonder why Big Red would take this option away from you and it really comes down to the undeniable fact that the phone is more secure with a locked bootloader. So while the U.S. version of the phone will not include the solution, global versions of the handset-the Motorola RAZR- will have it at first although again, it is up to each carrier to make the final decision. The solution from Motorola allows the user to lock and unlock the bookloader. Motorola apparently will now wait until phones rollout with the new Ice Cream Sandwich build of the Android OS before widely rolling out the solution in other handsets. The Schaumberg based firm also told Ausroid that when it comes to which of its Android phones would be getting Android 4.0, Motorola will look at a model's volume of sales, hardware and the carriers involved. 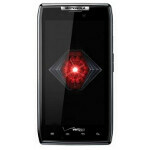 Pre-orders for the device are expected to begin October 27th and the Motorola DROID RAZR will cost $299.99 with a signed 2-year contract. No bootloader unlock, no wallet unlock. Screwed by the carriers once again. Sounds like Verizon wants to keep everyone using their crappy bloatware. I guess for the people that want this unlocked that bad they will figure out a way. A locked boot loader doesn't mean bloatware or no root. Boot loaders just makes ROM programming and rooting a lot more difficult. But I agree. Verizon is sticking it to the people. just a friendly warning, some retards think bloatware doesnt exist......lol, but plenty of us out here understand what it is. yeah, it really isn't that big of a deal. Motorola Droids get Rooted, ROMed & OCed just like the rest of them. Yeah, but the locked bootloader prevents a custom kernel. That's where the problem is. Somehow, I suspect XDA will be releasing a root of the RAZR before one week passes from when the RAZR is available for sale (probably sooner). This is very good news. With a non-removable battery and a locked boot loader, I was almost for sure going Nexus. But if the RAZR comes out next week with the option of a manufacturer unlocked boot loader, this is awfully tempting. Hopefully the non-removable battery doesn't crap out sooner than 2 years. Seems like the iPhones have managed. Except Verizon has removed the unlockable boot loader feature... so it's locked. Jesus, Verizon. Way to stick it to the customers. But I'm happy that Moto is sticking to its promise as much as possible. Please give my Atrix Ice Cream Sandwich! Why does Motorola always give Verizon there good phones and leave sprint and at&t with their mediocre ones?? the Atrix 2 is the Bionic with HSPA+. why did AT&T not have Motorola make it with LTE i don't know but it's still a fine device. i'm sure the Photon on Sprint will get an OMAP4 equipped refresh similar to what was made with the Atrix in the near future. probably has to do with the amount of advertising and unit sales promised by the carrier to support the device. LTE is not ready and AT&T has an LTE device coming out that is supposed to have the best battery life to date for LTE phones. And, AT&T likes to drag their arses. Never can someone understand the concept of carriers outside US. It's just a totally different situation in US. I never found myself at the mercy of the carriers. I can use any phone on any network here and no locked lock/unlock s**t. And considering my monthly bill (which I find ridiculously low at times), I am more than happy to get any phone without contract. That is because Europe was quicker to adapt to cell technology. After WWII, the infrastructure was destroyed and the parts not quickly rewired were thirsty for cell tech and adopted it. Hence leading to a more informed and developed customer base. My European business partners still wonder how long the US will have INCOMING calls to a cell counted against your plan. Such is life. Bloatware is an Apple myth made up when an iphone was only on At&t. Anyone who don't get that is the retard and has no understanding of RAM & ROM. Period. Bloatware is an apple myth? Tell that to my Incredible 2 with 19 apps that I have never used and can't remove unless I root. Some of them run in the background, and if you kill the process they just start up after you do. Not all of them but some do. To me bloatware is something that is added to the device at the carrier's request, which uses up space and in some cases resources, and isn't easily removable. Also, if bloatware is a myth, why was it a big deal when Sprint made it possible to remove those type of apps without having to root. Some were already pissed about the battery, now no boot loader unlock and no gaurantee of 4.0??? Yep, that Galaxy Nexus is looking better and better. Even with that 5mp camera. Just wish they left the free tether on it, which you know will never happen. No, the Razr is getting ICS. It's other Moto phones they're not sure about. i can about gurantee you that the Droid Bionic, Droid 3 & the Atrix 2 will get it. the Atrix, Photon & Droid X2 might have to wait a bit longer but i'm sure it'll come to them too. the others are real iffy. I would think such a device getting ICS is a no-brainier, but I thought the unlocked boot loader would be too considering all the users who have been begging for it. Sure, Motorola is doing their part, but why leave it up to carriers? I'm betting that Verizon refused to sell the Razr unless Moto allowed them to block the bootloader unlock function. ;( I think you're right about that for sure. VZW has got to maintain its well earned "Stick in the Mud" reputation to uphold. I know they say security is the reason for the boot loader lock, but I think that's a load! as much as i hate to say it this is just as much on Motorola as it is on Verizon. Motorola is just getting Verizon to play the bad guys for now so it'll make them look innocent of holding this off for a longer time. there's been phones on Verizon to come out with unlocked bootloaders. all Motorola has to do is unlock them no questions asked. it doesn't seem to matter what Verizon will think when Motorola starts unlocking bootloaders with ICS updates. what difference does it make if they start on a Gingerbread device? because it will hurt future partnerships with other phones down the lines, thats why. In america, the carrier makes all the calls, not the manufacturer.. as retarded as it may be. Moto doesnt have much say about what will be on the phones THEY will be making. you mean as a market value to newer devices? the next high-end device i can think of to be released by Motorola on Verizon after the Razr is the Droid 4 and i'm sure that'll be released in the Spring to catch Droid 2 owners. i don't see why Verizon's opinion matters when unlocking the bootloader on a new phone launched with Gingerbread and not after it gets upgraded to ICS.